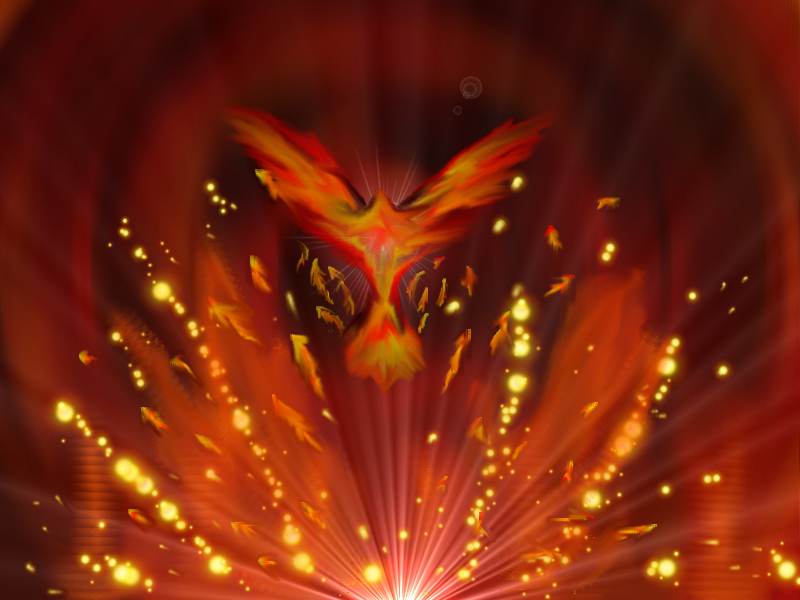 The Phoenix rises from the ashes of the past. You, too, can recreate yourself and make a fresh start. You can experience a Brilliant Breakthrough. You are to stay on your path. Even when the road twists and turns, you can feel vibrant, healthy, and strong. How do you do this? Keep your mind engaged and focused on inspired action. Invest your energy in healing yourself and introducing innovations into your life wherever you are ready for expansion and fulfillment. Pluto and Uranus require you to make significant changes. For instance, many people are experiencing job changes, long-term relationship completions, health issues, and/or financial problems. Is it any wonder you might feel overwhelmed or fearful due to the changes happening to you? You are trying to maintain your balance, keep your spirits up, stay positive, and move forward. This can be a daunting task. Your current process (journey) is as important as your destination. You can choose to be positive and proactive, even while your growth is swift and painful. Attitude is everything. The more willing you are to do the inner work and take full responsibility for your choices and behavior. The more you can turn obstacles into stepping-stones. Experiencing a Brilliant Breakthrough may require that you raise your standards and upgrade your relationships. It is time to be in your integrity and practice the Golden Rule, “Do unto others as you would have them do unto you.” It is also time to speak your truth, and choose what is right for you—this is true empowerment. You are the master of your destiny. You create your reality by your words and actions. Remember that when you do what is right (heart-centered) for you, it is right (real love) for everyone else. • What are your right relationships? You can move from fear to freedom. Love can conquer fear. Is your heart into what you are choosing for yourself? It is time to choose wisely. If you do not, your choice could lead to a false start and waste your precious time, resources, and energy. Pluto and Uranus are reminding you that it is time to release resistance. Are you resisting the changes taking place in your life? Choose your battles wisely. Hang loose on making judgments about what is happening—you may not have a full understanding of unfolding events. What seems to be negative on the surface could turn out to be a blessing in disguise. A Brilliant Breakthrough that leads you to a more fulfilling life. You may find yourself at the end of a relationship, a job lay-off, or a business closing. You can feel as though you are operating in crisis mode. Circumstances for those around you may also seem to be falling apart. In truth, you are in completion mode. These events are not always graceful, so go easy on you. You may feel less than a Self-master. You may feel more like a lost soul. Take comfort, for you are not alone. Everyone is experiencing these life-changing events. This experience may even feel like a death of sorts. Each of us has our own timetable for this process. Do not rush the process of breakdown. Do not stay too long in grief or the void. People and organizations that deal well with change are prepared for the inevitable emotional stages of the change process. In her seminal research on death and grief, Dr. Elizabeth Kübler-Ross chronicled six recognizable stages: denial, anger, bargaining, depression, acceptance, and hope. These stages seem most likely to manifest when 1) change is externally imposed, and 2) something of value is being lost or given up because of the change. During the breakdown phase, you may find yourself in denial and depression. You then move on to hope and acceptance. You can jump around quite a bit in the first few months after endings. For instance, we can feel acceptance, then flip into denial and hope, then reverse into anger. Each of us will process grief in our own unique way. There are no short cuts to growth. Please be patient with your process, and allow your life to unfold naturally. • What opportunities are available to you right now? • What would you be doing, if money were not a concern for you? Attitude is everything. A negative attitude cannot only ruin your day; it is costly to your productivity. You can choose to be positive and proactive, even when your growth is swift and painful. You want to be willing to do your inner work. This means taking full responsibility for your choices and behavior. 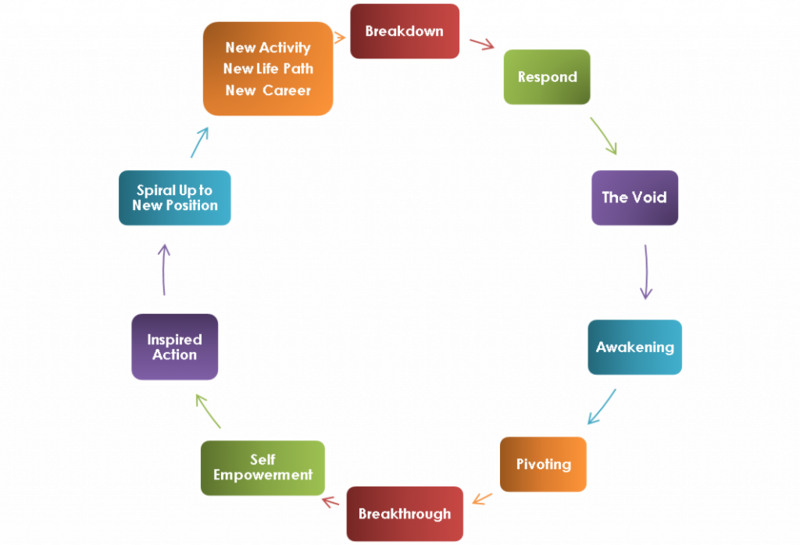 The secret of your success in this transformational climate is your willingness to go through intense growth cycles. Do what You must, keep moving and be forward focused. Ultimately, your Soul-Self must take dominion over your ego personality for your lasting success.Finding new solutions in solving your problems requires you to move up in consciousness and get to higher ground. You know the old saying that you can not solve a problem at the same level of consciousness that it was created. Stepping up will give you a clearer view in your life path direction. Listening is a powerful tool to gain insight, understanding and clarity. You want to listen to your Inner Being. Listen to your body. Your body is a messenger. • Experience has shown that you can use your frustration and/or dissatisfaction and reach for something more satisfying and be empowered in the process. 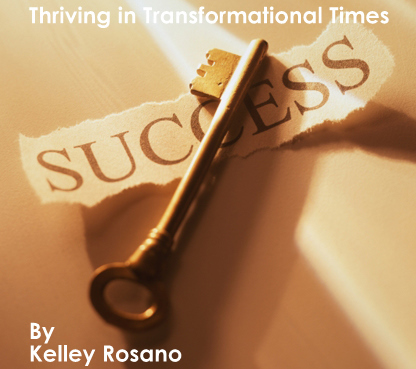 • Experience has shown that following your passions will increase your health, well-being and vitality.• Kelley Rosano coaches people to stay strong through focusing yourself into your passionate projects, and by innovating yourself. • Every adversity and/or challenge carries the opportunity to learn, grow and advance from the experience. • Would you like to learn how to move from Breakdown to your Brilliant Breakthrough and create a great life? Ultimately, your Soul-Self must take dominion over your ego personality for your lasting success, personal and spiritual development.